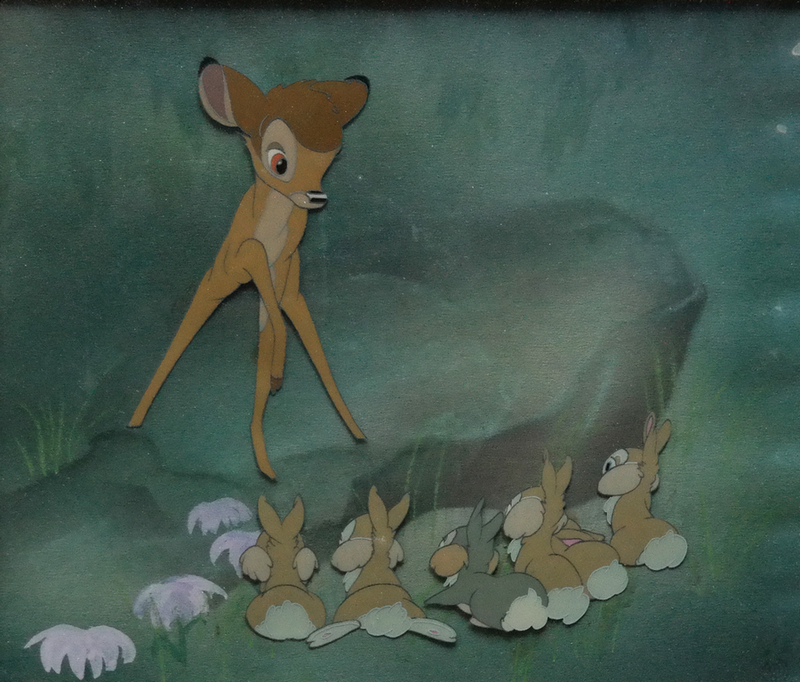 This is an original Courvoisier set-up production cel from the Walt Disney Studios production of Bambi (1942). 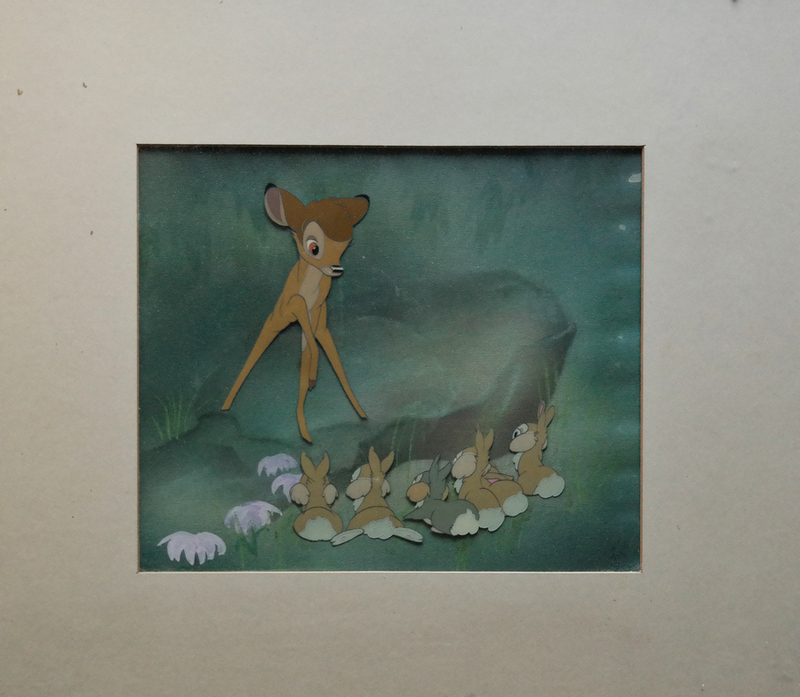 This set-up features Bambi and the bunnies and was created at the studio and used during the production of the film. The overall measurements of the matted piece are 13.5" x 15" with a 6.75" x 8" mat opening. The characters' cels are trimmed to image and applied to the airbrush background as is typical with classic Courvoisier set-ups. The piece is in good condition overall.